Nina Franz is pursuing her PhD under the supervision of Prof. Dr. Iris Därmann and Prof. Dr. Thomas Macho. She is a member of the doctoral program of the Excellence Cluster Image Knowledge Gestaltung. From 2012 to 2015 she was a research assistant within the teaching and research area of »Cultural History and Theory of Aesthetics« at the Institute for Cultural History and Theory at HU Berlin and a member of the research group »Pictograms« at the Excellence Cluster Image Knowledge Gestaltung. 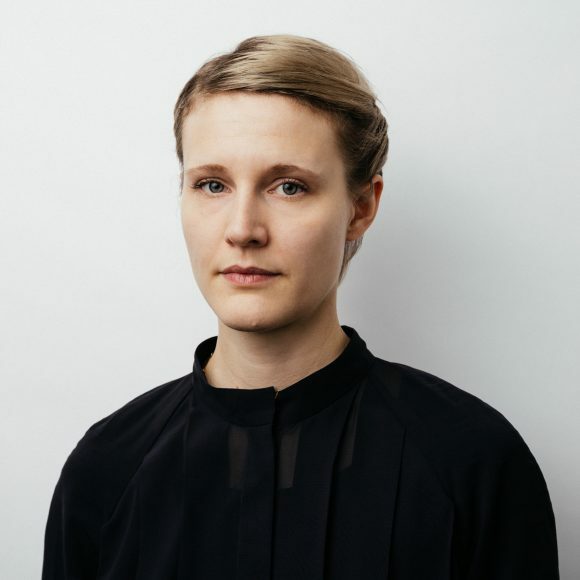 Her research on military technologies, theories of the image and production of obedience is supported by a doctoral scholarship from the Gerda Henkel Foundation. With Rebekka Ladewig: »Synthetic Reality and Blind Flight – The Operationalization of Perception« in: Andreas Immanuel Graae, Kathrin Maurer (eds. ): Politik, Vol. 20, Nr. 1, March 2017, pp. 30-44. »Targeted Killing and Pattern-of-Life Analysis: Weaponized Media«, in: John Corner, Katy Parry (eds. ): Media, Culture and Society, Vol. 39, No. 1, January 2017, pp. 111-121. »Painting the Target«, in: Kathrin Friedrich, Moritz Queisner, Anna Roethe (Eds. ): Image Guidance. Bedingungen bildgeführter Operation, Bildwelten des Wissens, Bd. 12. De Gruyter, Berlin, 2016, pp. 96-97. With Rebekka Ladewig: »Synthetische Realität und Blindflug – Operationalisierung der Wahrnehmung«, in: Matthias Bruhn, Nikola Doll (Hg. ): kritische berichte. Zeitschrift für Kunst- und Kulturwissenschaften, No. 4 Vol. 43, 2015, pp. 95-104. »Man in the Loop – The Language of Participation and the New Technologies of War«, in: ReClaiming Participation. Technology – Mediation – Collectivity, transcript, Bielefeld, 2016, pp. 133-144. »Leise, unsichtbar und autonom«, taz, March 14/15, 2015, pp. 25-27. »Der Ruinenwert der Bilder. Über Trever Paglen in der Galerie Thomas Zander» [»The Ruin Worth of Images. On Trevor Paglen at Thomas Zander Gallery»] in: Texte zur Kunst, No. 92, December 2013, pp. 214-217.